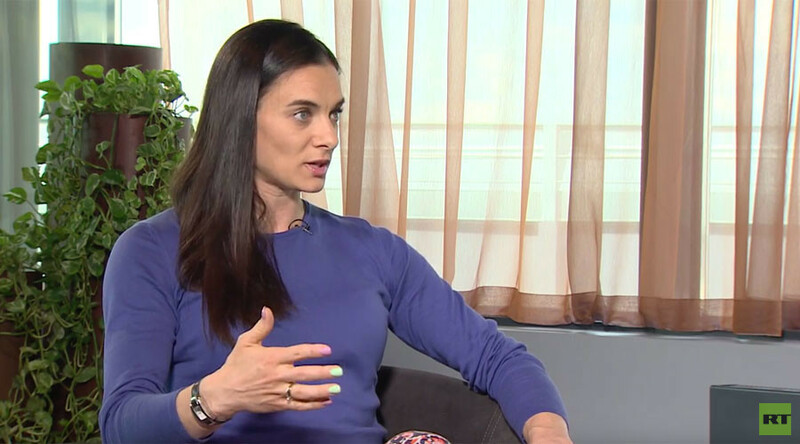 Two-time Olympic gold medalist Yelena Isinbayeva, speaking exclusively to RT, has said she is frustrated by Russia’s ongoing athletics ban and has pledged to take her case to the International Court of Human Rights to fight to compete in Rio this summer. A doping scandal is threatening to prevent Russia’s participation in the Olympic Games in Brazil this summer, but pole vault champion Isinbayeva feels let down by the International Olympic Committee (IOC) and the International Association of Athletics Federations (IAAF). The 33-year-old stated that she should not be punished for the actions of her compatriots. “I want the IAAF council and WADA [the World Anti-Doping Agency] to hear one thing – they have to deal with each case individually,” she said. “Athletes that broke the rules by taking banned substances must be suspended, there is no doubt about that, but athletes that have been clean for years should be allowed to compete in the Olympics. “I see no link whatsoever between their behavior and my career. I never broke the rules – I have always been, and will continue to be, a clean athlete. "I’ve been competing internationally for 20 years now, with four Olympic Games and 30 world records. "What’s interesting is that none of the world records were set on Russian soil. “I passed doping tests in many countries around the world, and the tests were always negative. Isinbayeva said she plans to engage the International Court of Human Rights if Russia is banned from the Olympics, given that she has done nothing wrong. “I am convinced that there is 100 percent chance of winning the case,” she said. “As for the harsh tone of my statement, I am indeed irritated as the situation has remained unsolved for such a long time. “I have missed the winter competitions already. Athletes from other countries have the opportunity to practice [and] set world records, but I can’t do it simply because some athletes from my national team violated WADA’s rules and I have to be punished along with them. “Currently we have a situation where clean athletes from other countries have this right, while I have to stay at home and wait and wait until the IAAF and WADA pass their verdict. 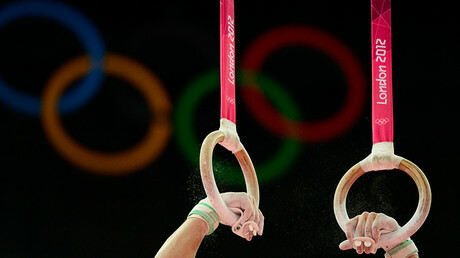 “But again their decision will only reflect the mistakes of other athletes – I don’t see any connection and I am getting increasingly angry. Isinbayeva said she felt there was an unfair focus on Russia. “Why is everyone looking at Russia only? Doping is a global issue,” she said. “Russia has been implicated but we are not the only country that faces this issue. “If they really want to clamp down on doping, they need to open their eyes and look in other directions too. “Otherwise it is a deliberate campaign against Russia, masterminded by someone. Isinbayeva said the potential ban would impinge upon her financial ability to earn money as an athlete, but stated that even if Russia did compete at the Olympics, the campaign was destined to be a failure. “You have to understand the training and taking part in competitions is a source of income for me,” she said. “Since they don’t let me do it, I lose my income and I also lose sponsorship contracts that I could sign if I did take part. “Even if Russia is allowed to go to the Rio Olympics, it is bound to be a failure. “Other athletes don’t have to step in front of the media trying to clear themselves from allegations made against their fellow athletes. They train twice a day, take part in the Diamond League competitions and make a living, while I am idling away my time here, forced to take the rap for someone else’s mistakes. Even if we go, it will be a failure. A decision is expected from the IAAF in mid-June on whether the ban on Russian track and field athletes will be lifted, thus freeing them to participate at the Rio Games.